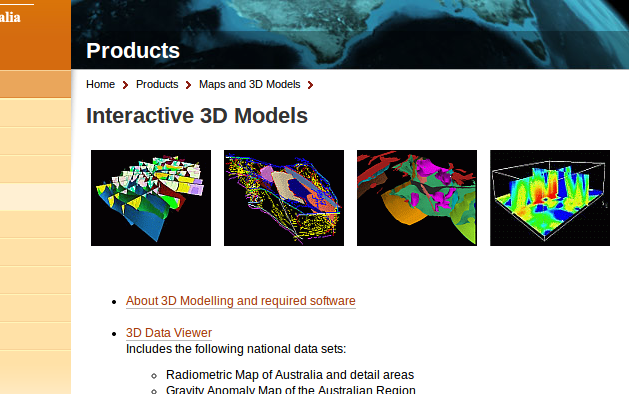 The Australian government now provides a bunch of commercial and free geodata on their Australia Geoscience-Portal. Like the well known U.S. data provider Earth-Explorer, you can do a product search, browse the full collection of data and application or find new released datasets. Besides this common features of data portals, the site offers a great collection of processed maps, datasets and really nice interactive models for geoscientific issues of Australia via WMS, WFS and WCS (Web Coverage Service).